It's at the end of a quiet lane. 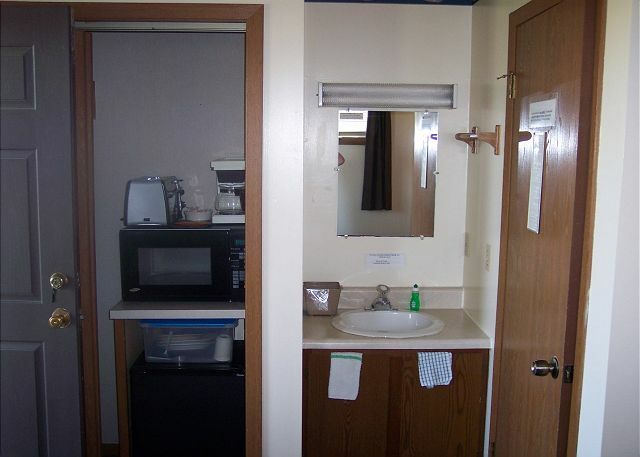 Room was clean and just big enough with a well stocked kitchen in case you wanted to cook rather than go out. They have a nice pool and a deck around the motel to sit and enjoy the stars. Walking distance to restaurants and a nice brewery. Very good location,walkable to various shops,reataurants, yet quiet even though there is a go cart spot close by.really didnt hear it. Nice pool,picnic tables .lots of attention to detail in rooms and outside, ie, floats in pool,nets and cages for crabbing available, spotless room, comfortable beds,frig nice and cold, plenty of towels offered, lots of dishes,cookware if desired,full frig plus micro.,great water pressure in shower, very nice beach decor in room and small lobby off office. Diary left for you to leave your thought on your vacation,nice touch.....have been here few times before.would reccomend except for two reasons; staff smokes even though rooms are non smoking, big negative foe us, and very small offerings for breakfast,bagels,fruit small muffins and terrible coffee.....purchase breakfast if you want and are used to more . Great as usual with no bad changes for years. The stuff as usual extremely friendly and helpful. Definitely will come back again. We have been staying here for many years. It is always a joy to arrive and be greeted warmly by the staff. Our room was well supplied with everything we needed. It is a unique and charming place that my family has loved over many years. We especially love the dock, walking to mini-golf, renting bikes across the street, the short drive to the refuge and the beach, Sugarbakers, the Crab Shack, the Main Street Shop and Coffee House and the Village restaurant. Quiet, but near everything. Clean, well equipped room. Cozy and great for families. Our family vacation was incredible. Our children r now adults with children of their own. All the generations loved the stay and the closness to nature. The Assateaque Inn is great for families. Our family returns to Chicoteague every year (at least twice a year). We always stay at The Assategue Inn; we love everything about it...family feel, wonderful and accommodating management/staff, location, cleanliness, etc. this stay we were in rooms 100 and 101. They were newly redecorated with top notch amenities! it was ok. We stayed in the motel and were happy that it was clean. It was a snug and we would've like a hanging rack or something similar. There were a few "spots" on the duvet but we just tossed it off. Pool was nice. Be prepared for thin walls (people talking and stomping around upstairs and outside) my only complaint would be that- perhaps the management could post signs or remind guest to be quiet after 10pm. It was a great location for us because there were great restaurants within walking distance. We did enough driving to get there; so we park the cars and walk. Money stolen from my room! a guest from ODENTON, MD does not recommend this vacation rental. My sister and I visited for the first time in 20 years! It was the best vacation ever. 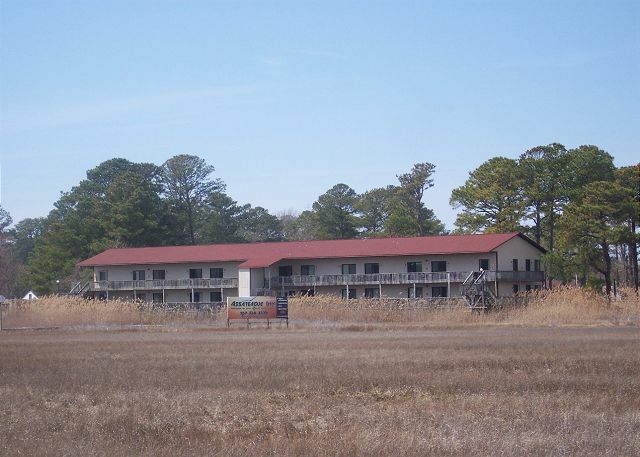 Assateague Inn is centrally located to everything! LOVED IT! We are planning to come back very soon! This is our second time back at Asseteague Inn, it's our go to hotel when we visit Chincoteague. We love the location beging between the beach and main street and having tons to do just across the street. 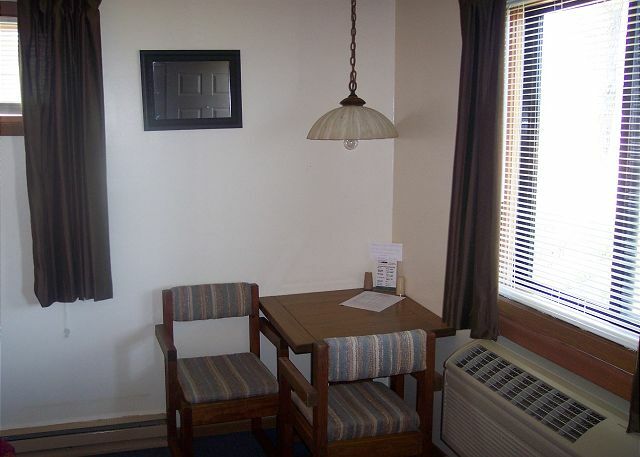 The room is perfect, even supplying us with plates, silverware, microwave, toster oven, coffee maker, mini fridge. Its like a mini home away from home. The heat/air conditioning fan never came on. Otherwise a nice stay. 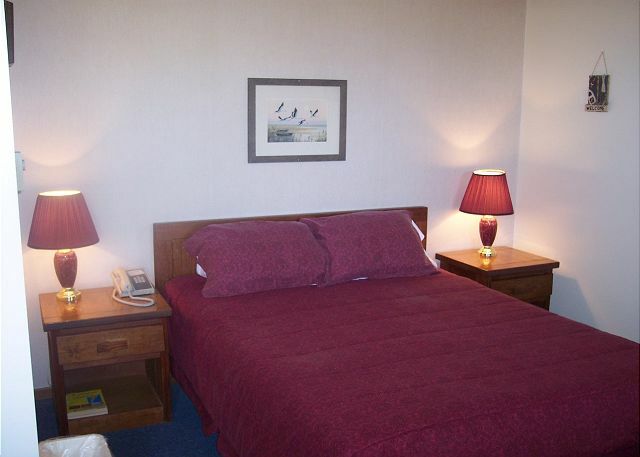 Assateague Inn is an ideal location and a reasonably priced option. There is plenty of parking, and you are within walking distance of several parts of the island. Nice views, good place to crab in the summer. Frances C from Winchester, Virginia does not recommend this vacation rental.